The FBI investigation into college basketball highlights the system's hypocrisy. Time to call the NCAA's bluff. Given the sheer scope of the alleged rule-breaking in college basketball, players may have a unique opportunity to flip the script. An old political saying notes you should never let a good crisis go to waste. In the case of the ongoing FBI investigation into college basketball’s underground economy, schools and players alike face a looming catastrophe. Think suspensions and firings. Stripped scholarships and vacated victories. Ruined reputations and tarnished legacies. In short, the usual fallout that accompanies flouting the NCAA’s prohibition on campus athletes being paid. According to a Yahoo Sports report published last week, financial documents from a single former NBA agent obtained by federal investigators detail a money-and-gift-based player recruiting operation potentially implicating at least 20 Division I hoops programs and more than 25 players, including blue-blood programs like North Carolina and Kentucky and current and former campus stars such as Collin Sexton and Dennis Smith. Given the sheer scope of the alleged rule-breaking, however, those same schools and players may have a unique, once-in-a-generation opportunity to flip the script. Perhaps there is finally a way to avoid punishment while making things better for both themselves and the sport as a whole. Better still, they could do this without hiring lawyers, issuing denials, or vowing to fight every accusation until the bitter end. All they have to do is confess. Perhaps there is finally a way to avoid punishment while making things better for the sport as a whole. I mean all of them. En masse. Past and present. Every player who has ever received money or gifts under the table; every coach, agent and booster who has ever helped make that happen; every school that has looked the other way because looking the other way is how you win basketball games. Have all of them come forward, tell the truth — clearly and publicly — and then dare the NCAA to crack down. In other words, call the association’s ongoing bluff. Granted, this isn’t how college sports scandals typically play out. Most of the time, schools and athletes singled out by the NCAA for amateurism violations hunker down and fight back, denying any wrongdoing. I didn’t accept that money-stuffed envelope. You can’t prove that we set up our star recruit’s mom with a new and better job. The shoe company gave money to my AAU coach and not me, go ask him what happened to it. Unfortunately, this sort of defensive turtling generally plays into the NCAA’s hands, and in two related ways. First, it implicitly accepts that there’s something wrong about talented people being able to freely cash in on their talents when those people play college sports — a deeply un-American notion that isn’t applied to anyone else on campus, including coaches, athletic administrators or even members of student bands. Second, it allows the NCAA to occupy an ersatz moral high ground, pretending that a handful of bad apple schools and athletes are failing in a perfectly just system, instead of the other way around. In response to the Yahoo report, NCAA president Mark Emmert released a statement that read, in part, “these allegations, if true, point to systematic failures that must be fixed and fixed now if we want college sports in America. Simply put, people who engage in this kind of behavior have no place in college sports. They are an affront to all those who play by the rules." Of course what’s left unsaid here is the sheer hypocrisy of the college sports system. The people who engage in the sort of behavior called out by Emmert — that is, the practice of offering and accepting compensation for goods procured and services rendered which what the rest of us call everyday commerce — are the people who make college sports and college basketball possible. They’re everywhere! They’re coaches and television announcers and athletic trainers and agents and ticket-takers and referees and Emmert himself, who earned more than $1.9 million in total compensation in 2015. Campus athletes receiving something closer to what they are actually worth to schools — be it from agents, shoe company runners, or anyone else — isn’t an affront to those who play by the rules. The rules are an affront to hard-working athletes, and the obvious reality that college hoops (like college football) is a lucrative and successful entertainment business that exploits its on-stage performers by arbitrarily and artificially restraining what they can earn. As LeBron James put it this week, the NCAA system is “corrupt,” and “kids getting paid is nothing new under the sun." As LeBron James put it this week, the NCAA system is “corrupt,” and “kids getting paid is nothing new under the sun." And that’s where the FBI investigation comes in. Previous federal indictments have implicated former assistant coaches at USC, Oklahoma State, Auburn and Arizona in player payment schemes and also led to the firing of Louisville coach Rick Pitino; an ESPN report last Saturday about a wiretapped conversation featuring Arizona coach Sean Miller allegedly discussing a $100,000 payment to land coveted recruit Deandre Ayton could yet result in Miller’s termination. More revelations appear to be forthcoming. Again, none of this is surprising. Pushing a market underground doesn’t make it any less of a market — the market for good basketball players remains robust and widespread. Which leads us back to the idea that athletes and schools may have enough leverage to come clean collectively and tell the NCAA everything. Imagine Duke, Kentucky, UCLA, Kansas and other high-profile programs admitting just how the college basketball sausage has always been made. 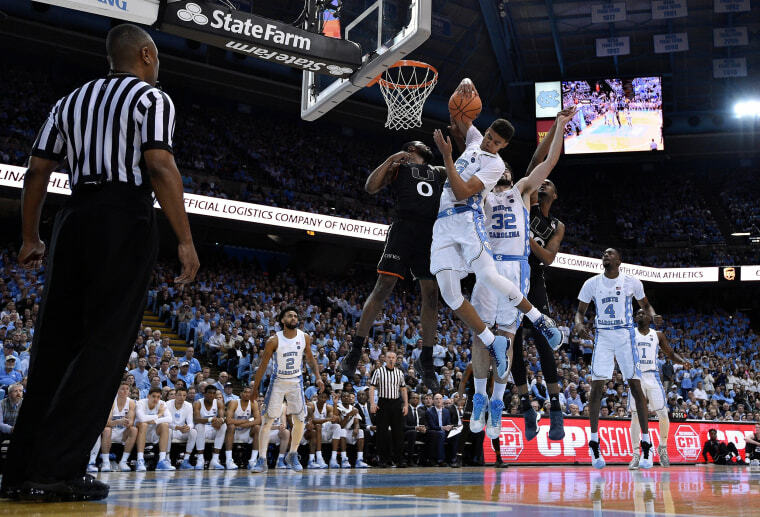 Right in time for March Madness, a tournament that brings in more than $740 million annually in television rights alone. Imagine current NBA stars confessing that they were once on the take, and other former college athletes doing the same. Former NBA guard and collegiate two-sport star Nate Robinson says a Washington booster offered him $100,000 a year to continue playing football following his freshman year, an offer he turned down. How many athletes over the decades have accepted similar inducements? Imagine if everyone talked. How would the NCAA respond? By suspending hundreds of current athletes and declaring hundreds more incoming players ineligible? By placing dozens of programs on probation? By vacating thousands of previously played games and seasons? By nuking the careers of high-profile coaches? By throwing its billion-dollar golden goose televised tournament into utter chaos? Of course not. There’s no chance the NCAA would destroy its village in order to save it. Instead of enforcing its amateurism rules — rules largely propped up by the collective silence and make-believe mentality that the FBI has now exposed — the association would be forced to abandon them. College basketball really does have systematic failures that need to be fixed. They’re just not the ones mentioned by Emmert. Let’s hope this crisis doesn’t go to waste. Patrick Hruby is a Washington, DC-based writer, editor, and journalist whose work has appeared in multiple outlets including ESPN the Magazine, Washingtonian, and the Best American Sports Writing anthology. Patrick Hruby is a Washington, D.C.-based writer, editor, and journalist whose work has appeared in multiple outlets including ESPN the Magazine, Washingtonian, and the Best American Sports Writing anthology.